OMG Posters! 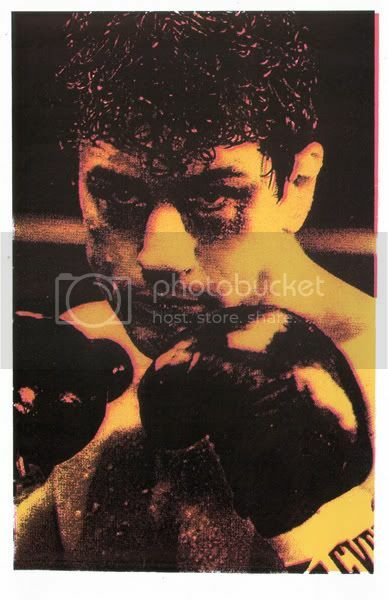 » Archive New Print Mafia Art Print: "Deniro" - OMG Posters! I have never seen such a prolific run by Print Mafia, they are putting stuff out unbelievably fast. This new one, “Deniro” (aka “You Never Got Me Down” is the fourth piece in their “Cinema Series”. It’s a 13″ x 20″ screenprint, has an edition of 80, and is $30 shipped. You can pick it up in the Gigposters.com Classifieds. Also, here’s a bit of exclusive news from the Mafia themselves: On Thursday, they will release the second print in the “Makeup Series”, this one titled “Kiss The Girls”. It’s a 13″ x 20″ screenprint, has an edition of 100, and will be $30. These will drop Thursday, January 1st at 10am CST. The first one went very fast, so be on your game. Visit PrintMafia.net. I WILL NOT BE PURCHASING THE KISS THE GIRLS PRINT. 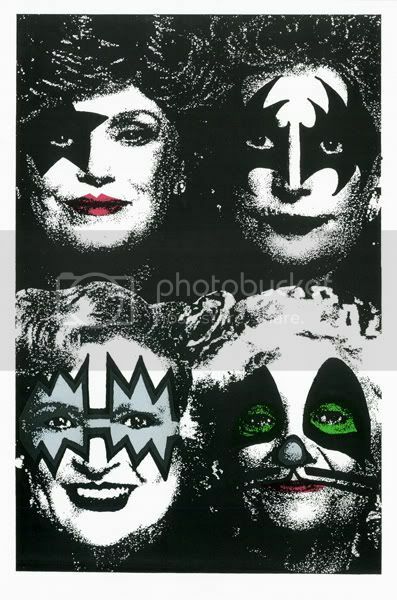 2 of the worst things in life are Kiss and The Golden Girls. Brian – There are no more icons left for street art. we are down to Golden Girls, Cosby shows and also there are a few muppet characters left. Ha ha! True! The muppets I might be able to get into though. Just as long as they dont have there faces painted like this Kiss morons.